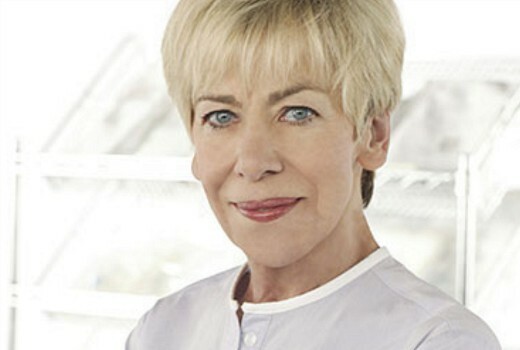 Veteran actress Judith McGrath, best known for All Saints, Prisoner & A Country Practice, has died aged 70. Updated: She died on Friday following a longtime battle with illness, surrounded by family & friends. 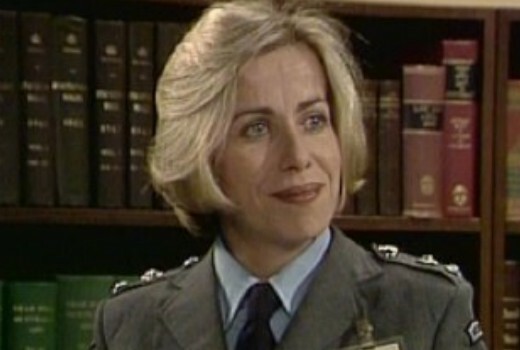 She appeared in Prisoner from 1979, initially in a minor role as warden played Colleen “Po Face” Powell, before becoming a principal and rising to the ranks of Deputy Governor, totalling 263 episodes. On A Country Practice she played Bernice Hudson for 149 episodes before 493 episodes of All Saints as salt-of-the-earth Matron Yvonne ‘Von’ Ryan -the only original cast member to remain across its entire 12 seasons. “I did love the show and I loved playing the character,” she told TV Tonight in 2009. “But there were times when I though ‘Move on Jude, just get on with it.’ But it just seemed to roll over. “It’s a funny thing. You’re there and you think ‘I’ve had enough now.’ I thought the character had reached a certain point unless it got reinvented. And of course, they did. They kept reinventing a bit. Other credits included Age of Consent, Bluey, Skyways, Young Ramsay, Special Squad, Neighbours, The Flying Doctors, Round the Twist, Police Rescue and Winners & Losers. Film credits included Backstage and Age of Consent. When All Saints was axed by the network, McGrath was critical of Seven moving its timeslot, and was vocal about executives not attending the end of filming. “None of the big boys from Mahogany Row were there, but you expect that. I’m being quite vile today, aren’t I?” she said at the time. “I’d say it’s ‘heart’ would be its legacy and its characters,” she said. “Because it was such a character-based show. You got to know the people. They were in your living room each week, so you became very familiar with them. And people like that. They feel part of it. McGrath was also busy on the stage, having trained at Brisbane Arts Theatre and being a company member of Twelfth Night Theatre under theatre director, Joan Whalley. “I love doing kid’s television too. Things like Round the Twist, Animal Farm were fun. It’s like you used to do in radio drama. It’s extending the belief a bit, character wise. They’re lovely to work on. Especially when you’re always cast as the nasty one,” she once said. Updated: Lee Leslie Management said in a statement, “Judith was an incredible performer and an Australian legend, an amazing character actor who lent true depth and authenticity to her roles on stage and on screen. So sad, I couldn’t believe it when I heard it this morning. I remember watching her on A Country Practice, but I will always remember her on all Saints playing a feisty character who had a caring heart. Oh no ! Very sad news – far too young. Judith has been such a well known face in local drama over the years. Especially fond memories of her long standing characters, Colleen, in Prisoner and Von, in All Saints. Her role as Von always reminded me of my Grandma. RIP Judith. So sad. ): She was hilarious in Round the Twist. Her best episodes were Skeleton on the Dunny, Birdsdo and Spaghetti Pig-Out. Judith was a Brisbane girl. I can recall seeing her shopping in the Queen Street Mall in the 80s. She always gave such memorable performances in any show she was in. Loved her portrayal of officer Colleen Powell in Prisoner. Oh, how sad. I loved her in All Saints and A Country Practice. Rest in Peace. Fly with the angels.